Description: Paneltech’s 280P Paint Grade MDO is a light weight overlay saturated with phenolic resin. 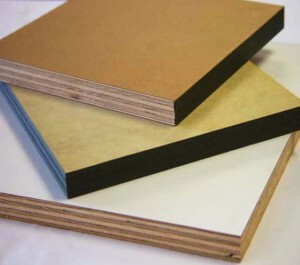 When applied to a panel, 280P is a light duty masking overlay or backer sheet with enhanced paint adhesion characteristics for plywood, OSB, particleboard, MDF and a variety of composites. As with other Paneltech MDO products, 280P has a proprietary glue line formulation that gives it strong adhesive properties when bonding to all commonly used substrates. Optional dot matrix printing can add an appropriate identifier to be used as a backer where differentiating between the front and back faces of the panel is important.